Daffodils are found blooming in every garden in the springtime where I live. I can positively say that no flower cheers me more with its arrival. 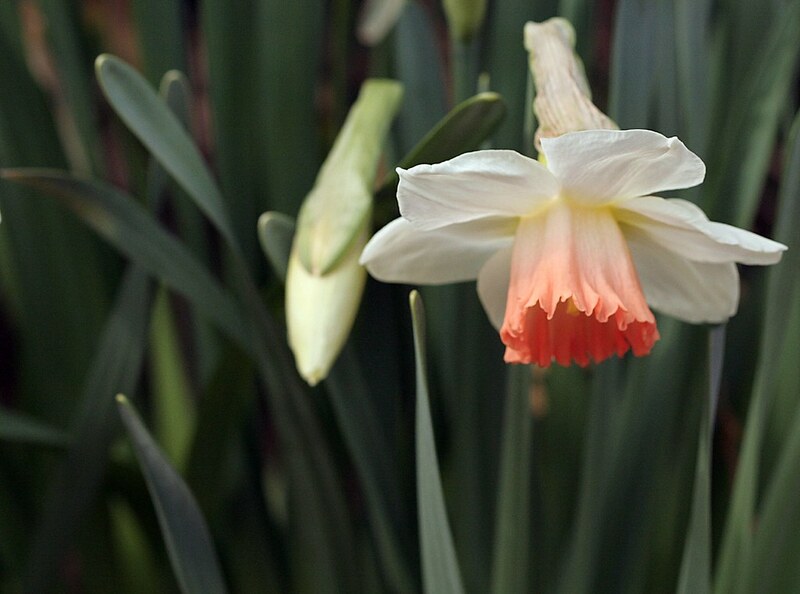 I have several varieties in bloom at present- yellow, white, and a white with a salmon coloured inner trumpet! The famous English poet William Wordsworth penned one of England’s most famous poems entitled The Daffodils (I Wandered Lonely Like a Cloud). School children are frequently required to memorize it and I daresay will never forget the words upon the sight of a daffodil. I love that poem ❤ My favorite Wordsworth was "She dwelt among the untrodden ways beside the springs of Dove.." Beautiful! I wish I could have the time and energy to ramble the English countryside in the spring. It would be inspiring for anyone!